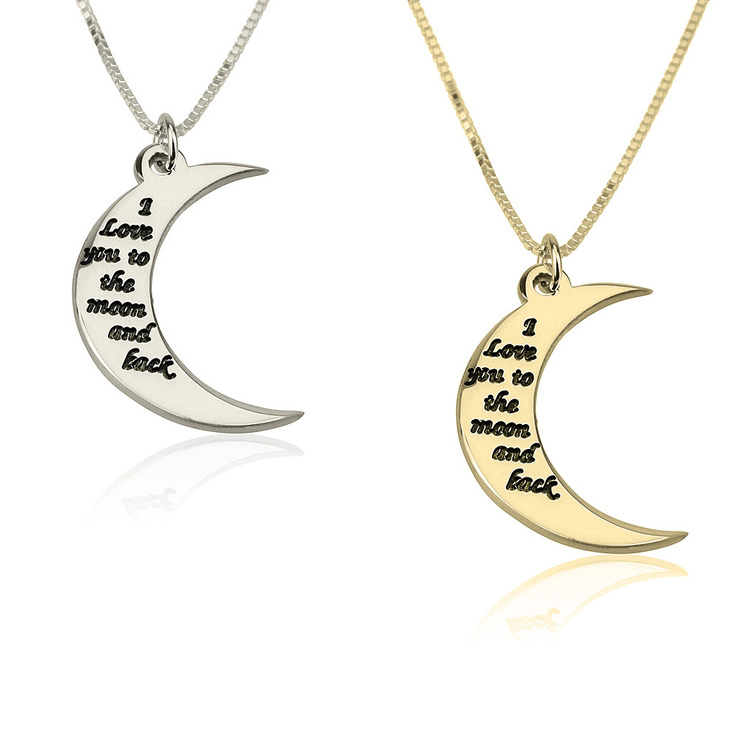 Allow your love to take you higher than the skies with oNecklace's sterling silver necklace engraved with the words "I Love You To The Moon And Back." 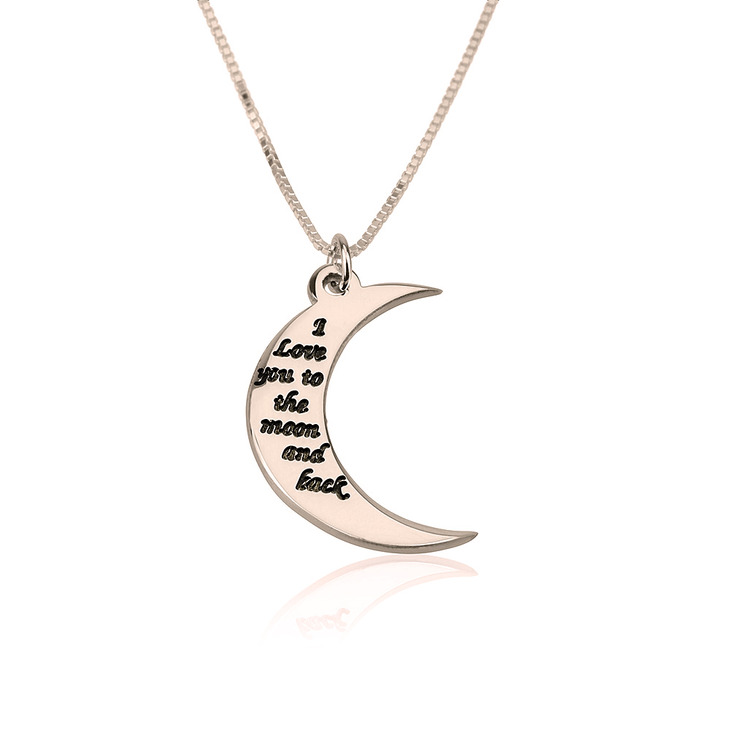 Say how you truly feel with this stunning moon shaped pendant engraved with these heartfelt words. 20mm x 24mm / 0.8" x 0.9"
Other than that I wish the words were larger and easier to read, this necklace is very cute. I got the one in gold and it sparkles and shimmers in the sun.